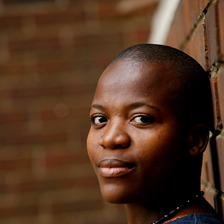 Zukiswa Wanner was born in Zambia of South African and Zimbabwean parentage. Her debut novel, The Madams, was published in 2006. She is the author of three more novels: Behind Every Successful Man (2008); Men of the South (2010, shortlisted for the Commonwealth Best Book Africa Region 2011 and the Herman Charles Bosman Award); and most recently London Cape Town Joburg (2014). She is also a regular contributor to publications including the New African, the Mail & Guardian, Elle and O magazine.